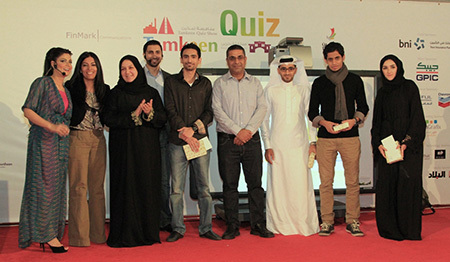 Team Midal, consisting of four nominated employees from the group has participated in the second annual Tamkeen Business Quiz Show. The team has successfully reached the grand final competition, having competed against some other teams spanning from different industries of banking, insurance, telecommunication and industrials. Team Midal members along with Mr. Emam Jalal, General Manager – Production & Maintainance at Midal, with officials from Tamkeen and FinMark Communications, the event founder and organizers.